Scented candles can set the mood of a room, lift your spirits, send you into a state of relaxation and increase your overall wellness. The SOi Company have created a beautiful range of soy candles now available in Australia – introducing Aqua de Soi. Exotic and refreshing, these candles will remind you of sweet summer holiday memories, or send the travel bug into overdrive! 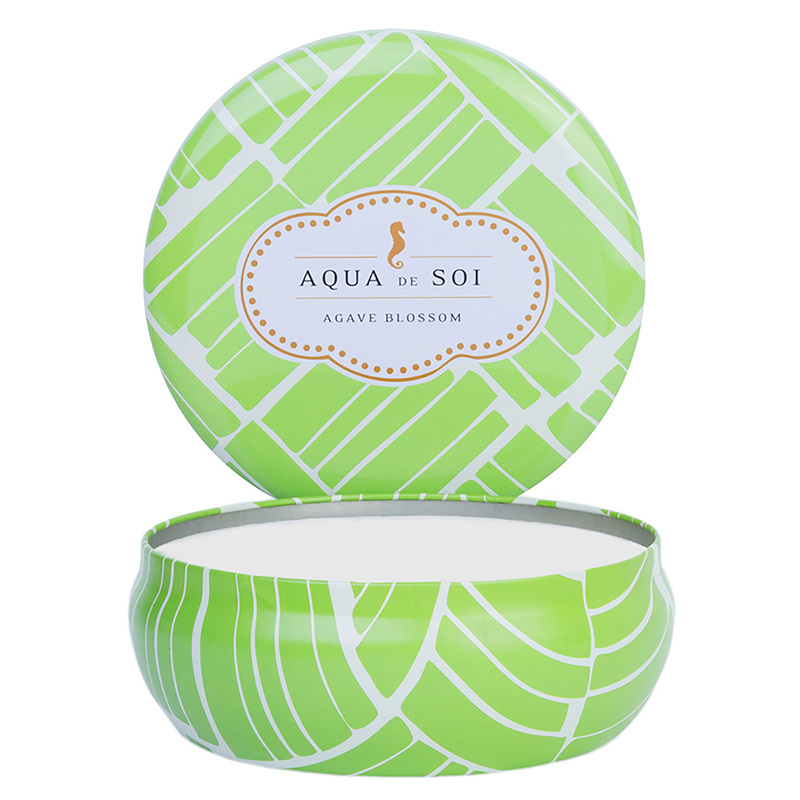 The Aqua de Soi collection was inspired by a passion for fragrance, love of exotic travel and a strive for clean living and all their scents reflect that. The luxurious candles are hand poured using 100% soy oil for a longer, cleaner burn. 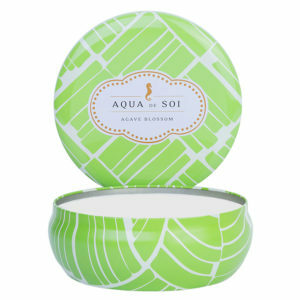 Each candle comes with decorative tin that is designed to match the essence of the fragrance. Agave Blossom: This fresh scent is a combination of saguaro cactus blossom, blue agave and desert lily. The floral scent is light and will remind you of summer days in the garden. 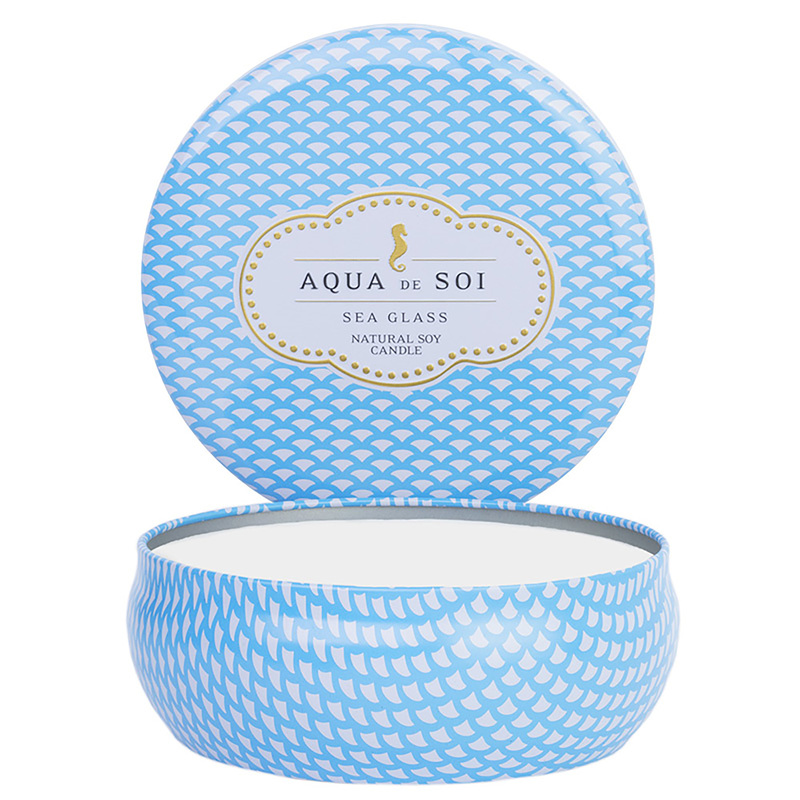 Sea Glass: With the perfect blend of white lilac, drift wood and a touch of sea spray, this scent is sunshine and the seaside in a tin. Perfect for relaxing on a sunny afternoon. Apricot Sandalwood: For something a bit more dynamic, this candle combines earthen woods, rich tobacco and golden apricots. Accents of wood violets and Persian rose are added to compliment this exotic fragrance. The SOi Company is a North California based company that creates all natural soy candles that are richly scented and designed to enhance your overall wellness. They use their passions to create their products, using the highest quality ingredients. Their collections of candles aromas aim to complement the décor and ambiance of your home. The new Aqua de Soi collection is now available at selected gift stores and pharmacies nationwide at an RRP of $39.95 each. Posted in New Products and tagged candles, decor, design, furnishing international, home, homewares, interior design, interiors, new products. Bookmark the permalink. International Furniture show Australia welcomes Australian Furniture Association members at the inaugural show.